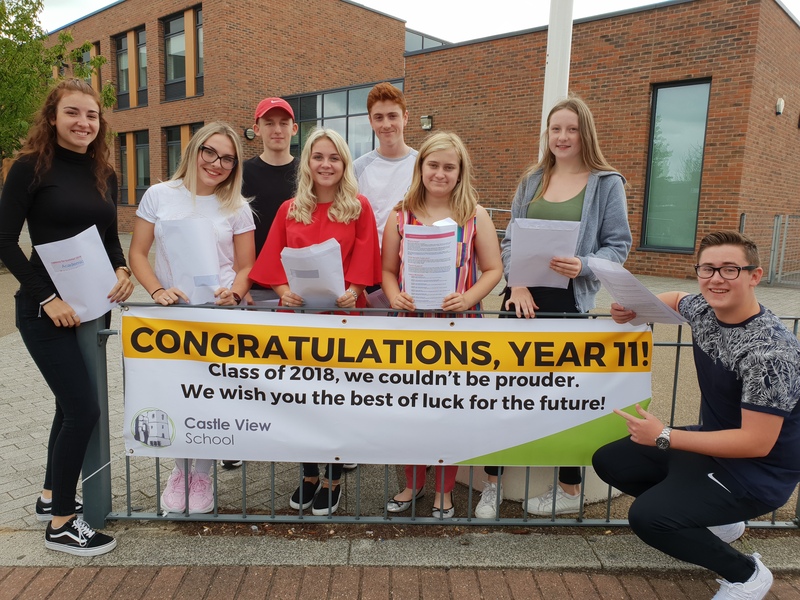 Castle View School continues to be proud of its students and our results demonstrate our continued journey towards excellence. The school has been growing from strength to strength over the past few years. The hard work and dedication of the students this year has paid off; many receiving exceptional results, despite the challenge of sitting the new, tougher GCSEs in the majority of their subjects. This is testament to the commitment and dedication of the staff at the school as well as our parents and the wider community which has ensured students have had the chance to become the best that they can be. The progress students make is stronger than previously and validates what OFSTED Inspectors saw when they visited during the last academic year when they commented, “The leadership team have embedded the necessary essential changes to ensure that current pupils are now making stronger progress.” Our results demonstrate that the school is stable, well led and has high expectations. The school continues to be above the new minimum ‘basics’ target set by the government for all schools nationally with the majority of our students achieving the standard pass in English and Maths. The school’s results are positive, with some notable performances in English where the overwhelming majority of students gained a standard pass and a significant number achieved the government’s threshold of a ‘strong pass.’ We have some equally strong performances in Media, PE and in the Sciences and Construction. Such results give all students a strong foundation to move on to their next stage of learning, training or employment. 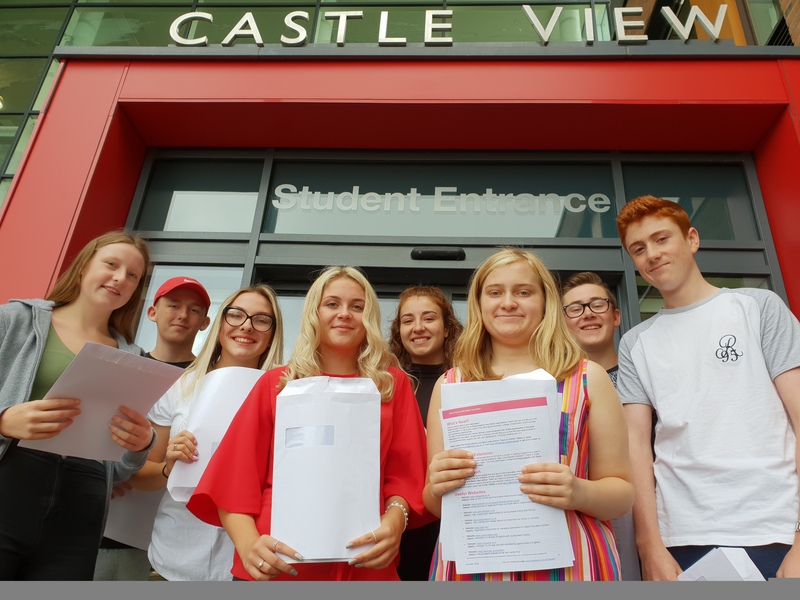 8 of our top 10 Castle View students are pictured below, Chloe Turner, Jack Campagna, Libby Wakefield, Liberty Berry, Katie Hills (Head Girl), Lois Clayton, Jack Vesey (Head Boy) and Joseph Owen, combined they received over 70 “strong” passes or better (Grade 5) of which over 50% were either A*-A (Grades 9-8). Jack Vesey, half of his subjects were graded 9-8, which we are exceptionally proud of.